Before taking to the world of Hollywood he was once an award-winning bodybuilder. 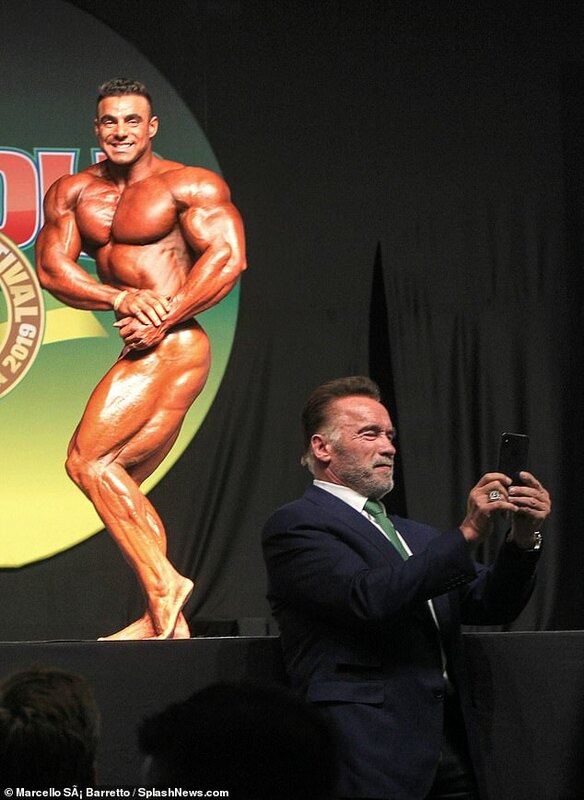 And Arnold Schwarzenegger proved he was still in touch with his bodybuilding roots as he took a selfie during the Arnold Sports Festival South America 2019. Unable to resist taking a selfie, the 71-year-old actor beamed with joy as he stood in front of the bodybuilding finalists in São Paulo, Brazil on Sunday. The event, which saw more than 600 competitors battle for the title, is South America's largest international event combining sports nutrition, health, sports, fights, and performance and fitness. After a gruelling competition that saw the bodybuilders display their muscular physiques to more than 10,000 spectators, the men took to the stage to flaunt their chiselled abs. 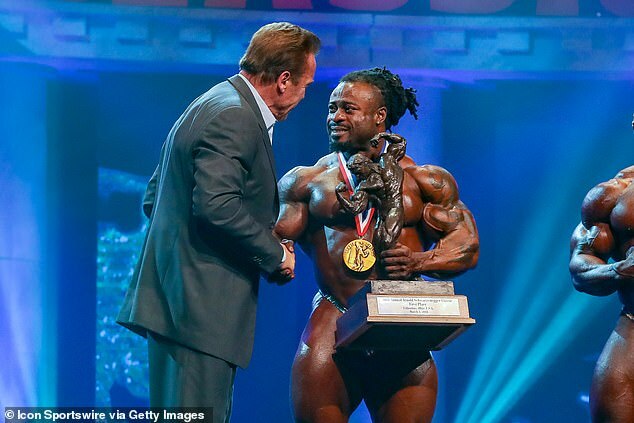 During the two day event, the Terminator star climbed on stage to dish out the prestigious awards to the muscular men. 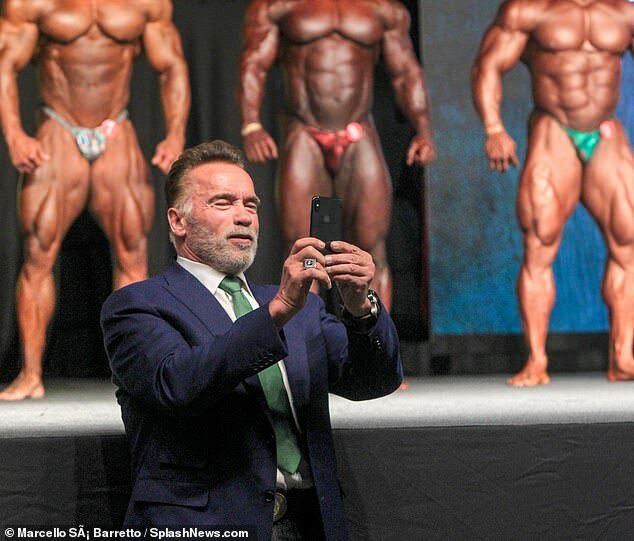 Dressed in a smart navy suit and green tie, Arnold beamed with joy as he stood in front of the stage and posed in front of the lean bodybuilders. Among the winners of the 2019 title winners was Brandon 'The Prodigy' Curry, from Murfreesboro Tennessee, Juan 'Diesel' Morel of New York and William 'The Conqueror' Bonac of Australia. Since its creation in 1989, the Arnold Sports Festival has become a must-see event for all aspiring bodybuilders and sports enthusiasts across the world. In 2013 the festival hosted its first edition of Arnold Classic Brazil before going on to spread its wings and launch the competition in Melbourne, Australia two years later.